There’s nothing about a two-year-old boy that goes in a straight line. They might start out with the best of intentions but there are rocks to peer under, spiders to examine, mushrooms to poke at and a thousand other wonders to explore. Sometimes life is just more fun when you zig and zag. ← Summertime and the Livin’ is….Well, You Know….Easy…. 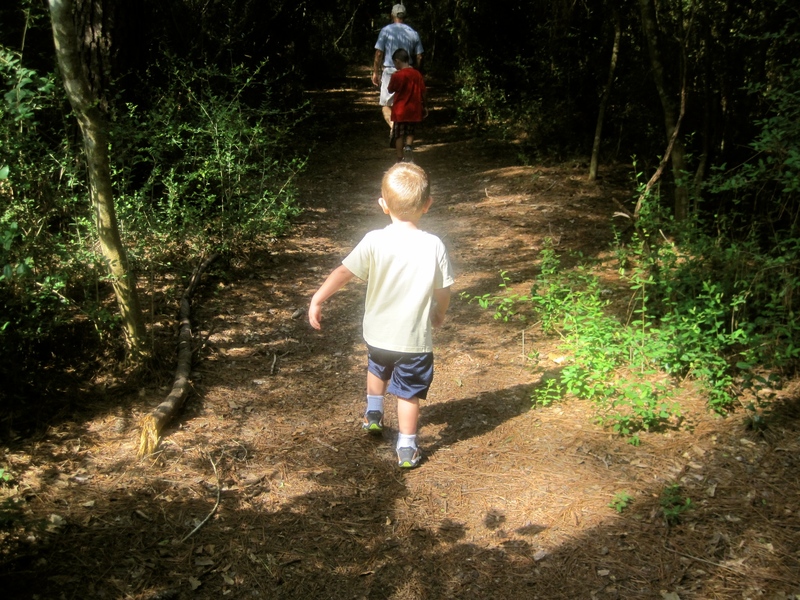 Sometimes we all need to be reminded to zig zag… The joy of grandchildren to remind us to look beyond the obvious. A Photo a Week Challenge: Ready, set, action!